For the first time in Eurovision history Azerbaijan is going to debut this year! After Armenia and Georgia has joined the Eurovision family successfully, it is now time for the third country of the Caucasus. Azerbaijan officially announces itself “Land of Fire & Ice” due to the geothermal treasures as well as the snow covered mountains. 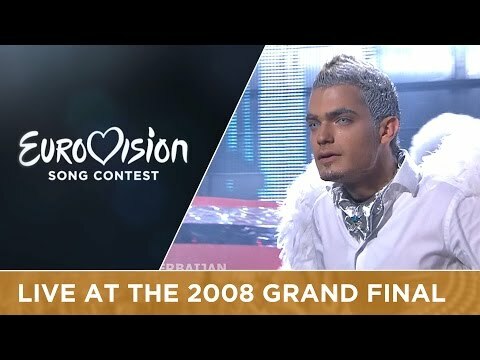 This kind of contrast can also be found in the debut song of Azerbaijan: a devil and an angel singing a male duet not seen like this at Eurovision before! New countries at Eurovision always try to bring new standards and new sounds into the competition. Those new countries are very eager and the representatives give all the countries proud on stage. This is often missed of the Western European countries that are not that open to new rules and music from the East. Due to their desperation they are sending gimmick songs as a kind of protest like Ireland and Spain. Why? There are so many good singers and composers and the Eastern European countries show that in a brilliant way with high class entries and new ideas. “Day after Day” is an unusual song, which you would have not expected by Azerbaijan, the counter tenor voice of Elnur is in need of getting used to. It’s original and striking new! Good luck Azerbaijan.